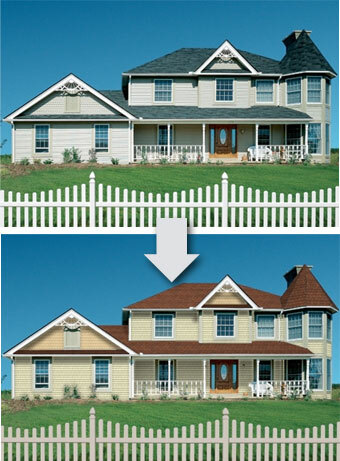 ColorView helps you visualize your home by allowing you to create your own custom exterior from CertainTeed's extensive library of residential building products and colors. Creating your dream home has never been easier! After you find the perfect combination of products, ColorView allows you to share your choices with Bosworth Roofing & Remodeling. We can then supply you with specific product information, samples and an estimate. NOTE: ColorView supports all major web browsers, however, Internet Explorer 6.0 or later is recommended for optimal performance. If required, ColorView will automatically upgrade your computer with the latest Flash Player. Should you experience a problem with the Flash Player installation, visit ColorView Troubleshooting. If you use a pop-up blocker, it may need to be disabled. With some blockers, this can be accomplished by holding the "Ctrl" button while clicking the link.